Cassava (Manihot esculenta) is tuberous Yuca root native to South America. This starchy gluten-free, grain-free and nut-free superfood is a versatile substitute for many types of flour. California Gold Nutrition® Superfoods Organic Cassava Powder is sourced from Brazil and is expertly prepared into a fine-grind flour. Only healthy and clean whole Cassava roots are selected and then peeled, washed, crushed, grated, milled, pressed, sifted and dried at an optimal temperature. The mild sweet neutral flavor of Cassava powder makes it an easy grain-free alternative. 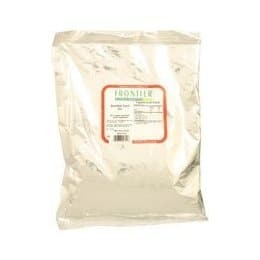 Can be used in your favorite recipes as a 1:1 substitute for wheat and all-purpose flours. 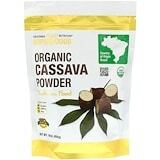 Cassava flour tends to be a lighter flour and absorbs more liquid. Varying amounts of Cassava flour may be needed for each recipe, so please experiment and adjust accordingly.